The Patagonia P-6 Logo Trucker Hat is their classic mid-crown trucker hat with comfort, breathability, and the iconic Patagonia logo for sunny climbing days, or long and warm approaches - just about any time you need to stay cool and shaded. 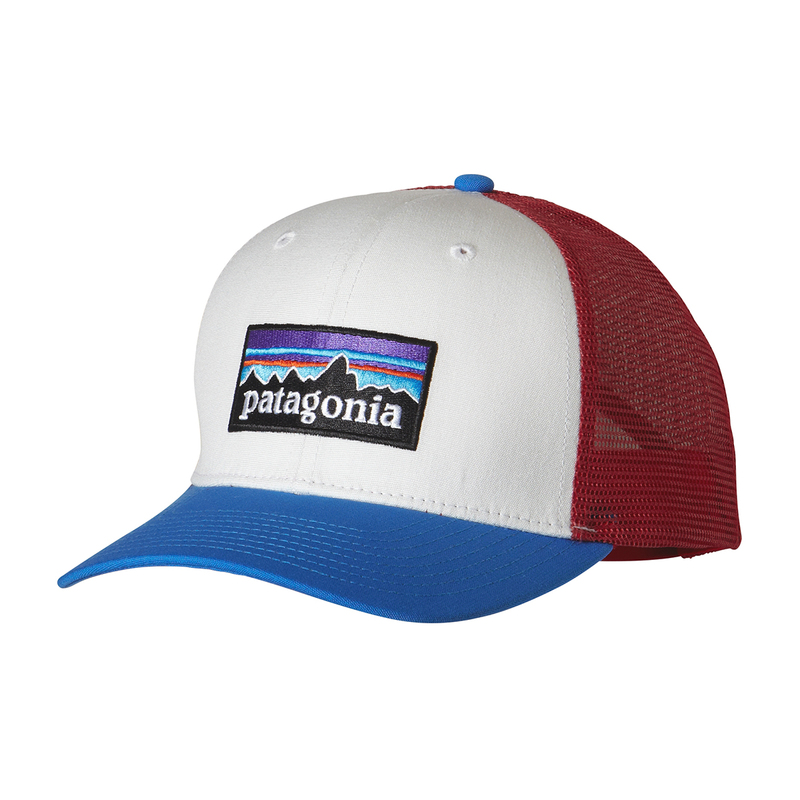 The Patagonia P-6 Logo Trucker Hat is made from Patagonia’s organically sourced cotton. Organic cotton is softer than synthetic, and, thanks to its natural ability to suppress the growth of bacteria, it will stay cleaner and fresher for longer, so you can wear your favourite hat for longer. The polyester mesh back is breathable, and a classic adjustable snap closure is secure and easy to use. In 1996, Patagonia began exclusively using organically grown cotton for all of their cotton products because of an increased awareness of the dangers of using pesticides and synthetic fertilisers in growing conventional cotton. The quality of organic cotton is equal to or greater than conventionally grown cotton, but organic methods support healthy ecosystems and biodiversity, improves the quality of soil, and often uses less water. It takes more time, requires more knowledge and skill, and it costs more, but Patagonia say it’s worth it. “For us at Patagonia, a love of wild and beautiful places demands participation in the fight to save them, and to help reverse the steep decline in the overall environmental health of our planet. We donate our time, services [lending their name to environmental activism and promoting employee activism] and at least 1% of our sales [$74 million thus far] to hundreds of grassroots environmental groups all over the world who work to help reverse the tide.” In 2016, Patagonia donated 100% of their Black Friday sales to grassroots organisations “to create positive change for the planet in their own backyards.” Read more here.